Download the free Global Property Resource Kit to learn more. We know you are looking for companies that are ahead of the curve when it comes to investment opportunities and this Global Property Resource Kit gives you the inside scoop on what you need to know before investing internationally. 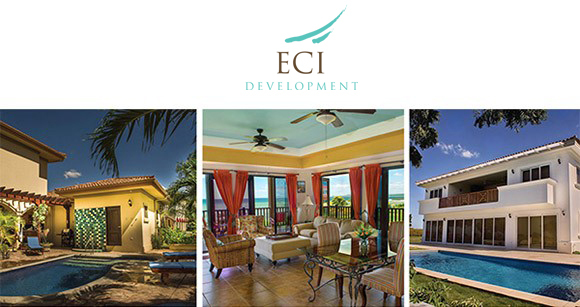 Please complete the form on the right to receive your free copy of the ECI Global Property Resource Kit and discover the investment opportunities available to you in Latin America with a company long-established in the region. Share this free information with your friends and colleagues! Wilkinson PM, Inc. & HomeFirst Realty, Inc. are licensed real estate brokerages in Virginia and Maryland and headquartered at 6271 Franconia Rd. Alexandria, VA 22310. Wilkinson PM, Inc. & HomeFirst Realty, Inc. do not have an ownership interest in ECI Development, but have entered into a referral agreement whereby they may be compensated for sales referrals. Also, interested parties may contract with Wilkinson PM, Inc. or HomeFirst Realty, Inc. to represent them in a purchase of an ECI Development property. Interested parties may reach the broker by email at: info@wilkinsonpm.com. **Without any representation in the purchase of real estate in a foreign country, it is very strongly recommended to obtain professional advice covering all details involved. Also, complete all necessary due diligence including, but not limited to, visiting the location, inspecting the property (and surrounding properties), and confirming a free and clear title. Yes, I'd Like A Copy Of The Free Guide!